One final point: Though MacArthur makes much of the “foundation” argument in Ephesians 2:20, I’m not sure it’s as conclusive as he thinks. For one thing, he is asking that passage a question that it was not designed to answer. His question is, “Has the gift of apostleship ceased?” The question that passage was designed to answer is, “How are Gentiles saved and incorporated into the people of God?” The only passage in the New Testament that explicitly asks when the spiritual gifts will cease is 1 Corinthians 13:8–13, and its answer is “when completeness comes,” i.e., the Eschaton. For another thing, and this cannot be stressed enough, “foundation” is a metaphor, and metaphors should not be pressed too far. If pressed too far, we would have to conclude that Paul could not be part of the church’s apostolic foundation because he described himself as a “wise builder” who laid that foundation in 1 Corinthians 3:10. Obviously, the builder cannot also be the foundation. And doesn’t Revelation 21:14 describe the foundation of the New Jerusalem, which is the Church, in terms of “the twelve apostles of the Lamb”? Obviously, Paul was not a member of the Twelve. 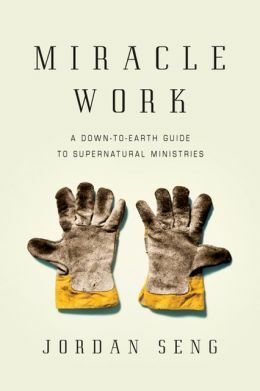 Jordan Seng, Miracle Work: A Down-to-Earth Guide to Supernatural Ministries (Downers Grove, IL: IVP Books, 2013). $17.00, 224 pages. First, Jordan Seng is not the guy you’d expect to write this kind of book. He is a graduate of Stanford University with a PhD in political theory from the University of Chicago who served for a time as a National Security Fellow at Harvard University’s Kennedy School of Government. In his infamous essay, “On Miracles,” David Hume argued that reports of miracles arose among chiefly “ignorant and barbarous nations,” or were received by “civilized people” from “ignorant and barbarous ancestors.” Clearly, Hume never imagined the possibility of a miracle-working PhD, which simply shows the limits of his imagination and the extent of his prejudices. Third, whereas faith healers emphasize the importance of faith in the person seeking healing, Seng emphasizes the importance of power in the person performing the healing. 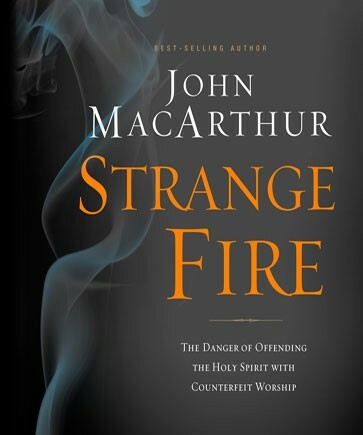 Indeed, the heart of the book is a chapter entitled, “The Power Equation,” where Seng lays out his understanding of how supernatural power flows through a person and results in supernatural ministry: Authority + Gifting + Faith + Consecration = Power. “[T]he amount of authority [determined by obedience to Jesus], gifting, faith and consecration you develop will combine to determine, in large part, the amount of supernatural power you have for ministry.” This shift of emphasis has important pastoral consequences: A person who does not experience healing should not be faulted for lack of faith, which is the implication of word-of-faith theology. Despite my reservations, I recommend reading Miracle Work. 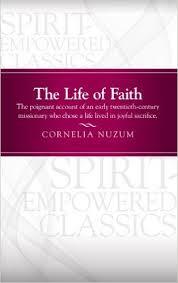 It is an interesting, faith-building book. If Jesus and his followers did supernatural ministry, why can’t we? Mark 5.21–43 tells the interconnected stories of two miracles: (1) the healing of a woman with a twelve-year-long hemorrhage and (2) the resurrection of Jairus’ little daughter. What do these miracles teach us about Jesus? First, and very obviously, they teach us that Jesus has the power to heal. Jesus has power over sickness and death, as the stories of the woman and the young girl make clear. Furthermore, Jesus has power over the natural and supernatural realms, as seen by his calming of the storm (Mark 4.35–41) and exorcism of the Gerasene demoniac (5.1–20). Third, Jesus’ power to heal reverses the flow of contamination. When someone is sick, we fear catching the disease. According to the Law of Moses, when someone is ritually unclean, anyone who touches that person becomes unclean as well. In the two stories we’re considering today, both the woman with the twelve-year-long hemorrhage and the dead girl were ritually unclean (Lev. 15.25–33; Num. 19.11, 14). When the woman pushed her way through the crowd to touch Jesus, she rendered unclean everyone she touched, but not Jesus. Nor did Jesus become unclean when he took Jairus’ little daughter “by the hand.” Why? Because Jesus decontaminates whatever he touches, physically and spiritually. I think Jesus’ example of physically touching people is a marvelous model for us to follow. When people are sick—of AIDS, for example—we should not feel afraid to touch them, for this is what Jesus would do if he was in our place. Finally, Jesus makes his power to heal available at all times. My dad likes to say that Mark 5.21–43 is the story of an interruption of an interruption. Jesus was teaching the crowd when Jairus interrupted him with news of his little daughter’s parlous condition. Jesus was on his way to Jairus’ house when the hemorrhaging woman interrupted his journey and touched him. Time management techniques have taught us that every activity needs to find its appointed day and hour. Jesus never made appointments, or rather, he never let his appointments interrupt an opportunity to help people. Neither should we. The first step in healing is simply being available to others so that God can use you as his agent of bring wholeness to others.